Each workshop starts on the Friday evening with an introductory talk at 7pm and continues over Saturday and Sunday (9am - 6pm on both days). 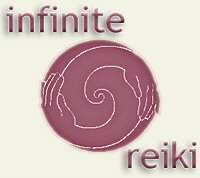 Friends and relatives are welcome to attend the Friday evening talk for free to ask questions and find out about Reiki. If you are committed to the workshop you will receive the first of four energy empowerments. Saturday and Sunday are full practical days during which time the three remaining energy empowerments are given. You will also receive full instruction on how to perform a treatment upon yourself as well as others, plus simple meditation techniques. At the end of the weekend you’ll be given full notes and a certificate. We break for lunch for approximately one hour. Either bring a packed lunch, or if you live close enough, feel free to go home. Morning and afternoon tea is provided. Casual, comfortable clothing is recommended.